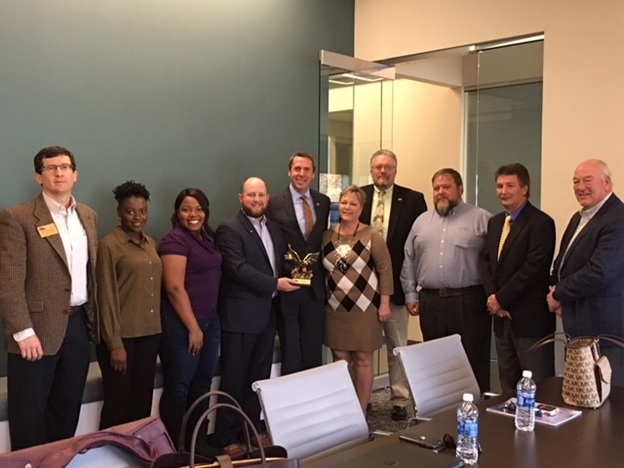 The Associated Builders and Contractors (ABC) of the Carolinas has presented the Merit Shop Champion Eagle Award to Representative Mark Walker during the Guilford County Career and Technical Education (CTE) Blue Ribbon Task Force Meeting in Greensboro, Nov. 27. The Eagle Award is given to legislators with at least 80 percent voting record on key issues related to the construction industry in the Congress’ previous session. “The Carolinas are fortunate to be represented by a number of members of Congress who are true champions of the Merit Shop Philosophy and Free Enterprise system,” said Chris Bullard, director of government affairs at ABC of the Carolinas. “We are extremely thankful for Congressman Walker’s support in Washington. 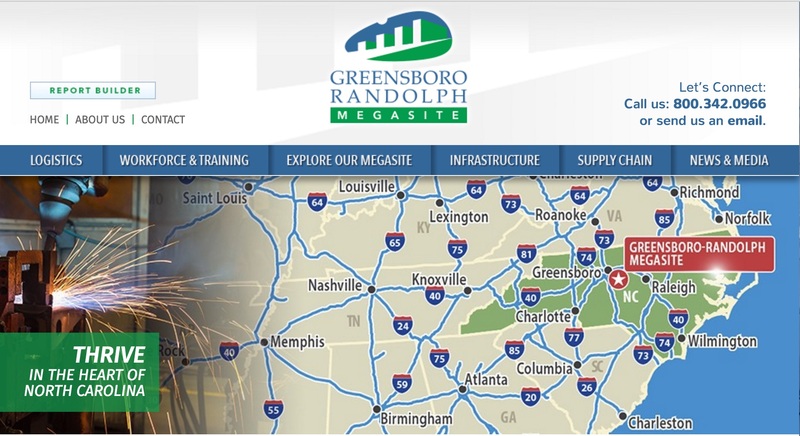 His commitment to our industry and it’s workforce development play a critical role in our contractors’ success across the Piedmont-Triad,” Bullard said. Triad council members, North Carolina A&T State University students and ABC of the Carolinas staff attended the CTE meeting, where Rep. Walker discussed tax reform, infrastructure, healthcare and workforce development. “Great speaking at the Guilford County Career and Technical Education Blue Ribbon Task Force Meeting this morning. Thank you @scontrerasGCS for your leadership and dedication to educating our next generation,” Rep. Walker posted on Twitter, Nov. 27 tagging Guilford County superintendent of schools Sharon Contreras.